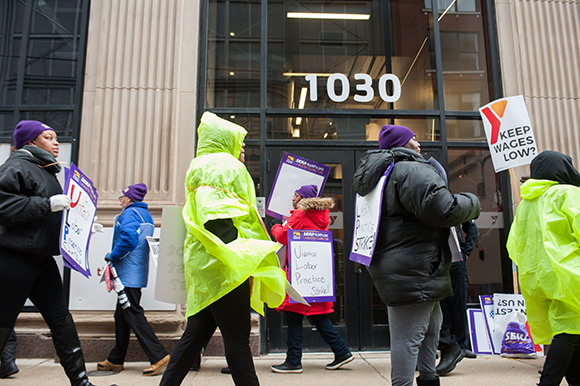 CHICAGO—In a victory for workers, parents and children, child care workers have reached a three-year contract with the YMCA of Metropolitan Chicago following a historic unfair labor practice strike on March 1st. 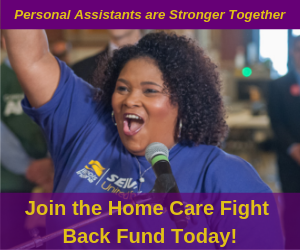 The nearly 130 YMCA Early Childhood Education and Child Care workers are represented by SEIU Healthcare of Illinois Indiana. The workers’ March 1st unfair labor practice strike across ten Chicago-area YMCA sites drew the support of multiple elected leaders and candidates as well as faith and community leaders. Prominent supporters who joined YMCA strikers on March 1 include Cook County Commissioner Chuy Garcia, State Representative Litesa Wallace, State Representative-elect Delia Ramirez, Chicago Teachers Union Vice President Jesse Sharkey, and Gubernatorial candidates Chris Kennedy and Daniel Biss. Workers signaled their intent to escalate to a second, longer strike by voting to authorize a strike on April 6. Throughout the contract fight, workers demanded better wages and solutions for the YMCA’s short-staffing crisis. Through the contract, ratified on Friday, April 13th, the workers won an average of 11% wage increase and time and half pay on holidays. They also improved their working conditions by implementing prep time into their regularly scheduled work hours. These contract wins directly address the low wages endemic to the child care industry and guarantee higher quality care for every child enrolled at the YMCA.